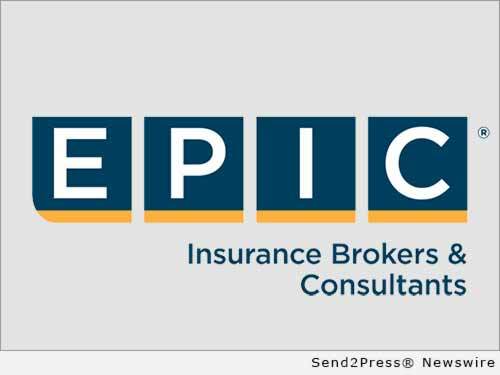 SAN FRANCISCO, Calif. /California Newswire/ — EPIC Insurance Brokers and Consultants, a retail property, casualty insurance brokerage and employee benefits consultant, announced today that Vincent G. Caracciolo has joined the firm as National Managing Director of Claims and Coverage Advocacy. Caracciolo will be based in EPIC’s New York City office and report to Dan Crawford, Executive Vice President and General Counsel of EPIC. Caracciolo joins EPIC from Integro Insurance Brokers, where he was a Managing Principal and leader of their National Coverage and Claims Practice, responsible for providing coverage counsel, brokerage and claims advocacy services to the firm’s clients. Caracciolo’s areas of specialty include Directors & Officers Liability, Management Liability, Errors & Omissions, Fidelity, Fiduciary, Employment Practices Liability and Cyber/Privacy Liability, with a particular focus in recent years on the needs of Private Equity Investors and Financial Institutions. Caracciolo has more than twenty years’ experience as a practicing attorney, a professional liability insurance underwriter, claims professional and an insurance industry executive. His prior legal experience includes insurance coverage litigation, corporate and securities litigation practices, as well as insurance coverage counseling and pre-litigation negotiation and resolution of disputes over the nature and scope of insurance coverage for claims tendered to insurance companies. “We are thrilled to have another top professional of Vin’s caliber join our EPIC team,” said Dan Crawford. “His background, reputation, and range of experience as an industry leader in claims and coverage advocacy offering practical solutions for clients, and expert knowledge of specialized policy wordings, terms and conditions further strengthens the broad resources and service excellence we deliver to our EPIC clients with complex needs across the country”. Caracciolo earned a Bachelor of Science degree in Business Administration (Finance) from Georgetown University in Washington, D.C. He then obtained his Juris Doctor from Fordham University School of Law in New York, N.Y.
Caracciolo has authored numerous articles as well as serving as a subject matter expert to the media. He has also spoken extensively at a wide range of insurance and legal industry conferences, including PLUS, PLI, ACI, Corporate Directors Group, Private Equity and Hedge Fund associations and NYC Bar Association Continuing Legal Education events.